Franklin, La at the Oaklawn Manor, thanks to former Governor Mike Foster. Heavy hor ‘d oeuvres and selected deserts, ALL made with raw Louisiana cane sugar. 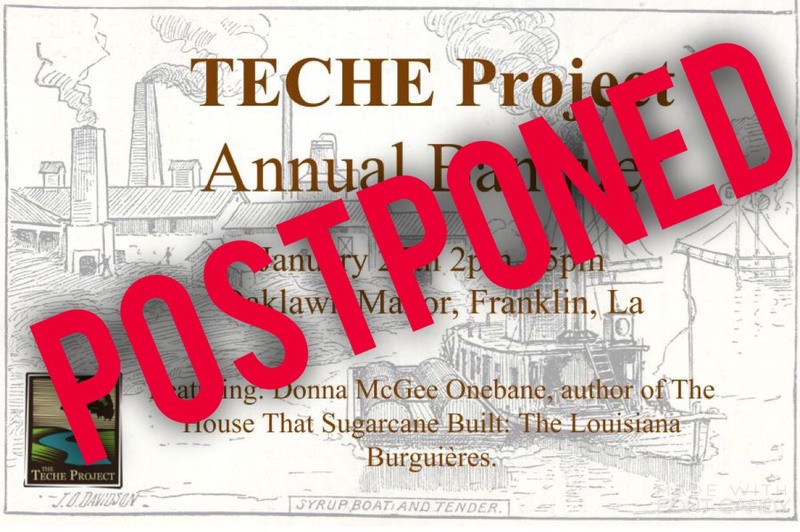 Due to a forecast of rain and thunderstorms for this Saturday, the TECHE Project Council is postponing our Annual Banquet event scheduled for Saturday at Oaklawn Manor, Franklin, LA. We are working with Oaklawn Manor representatives now to set a date for rescheduling the event—Please look for future announcements. Since Banquet event activities will occur outdoors, we felt your safety and comfort is most important. We regret needing to make this decision and the inconvenience. Please plan to attend when we have a backup date announced. Thank you very much. 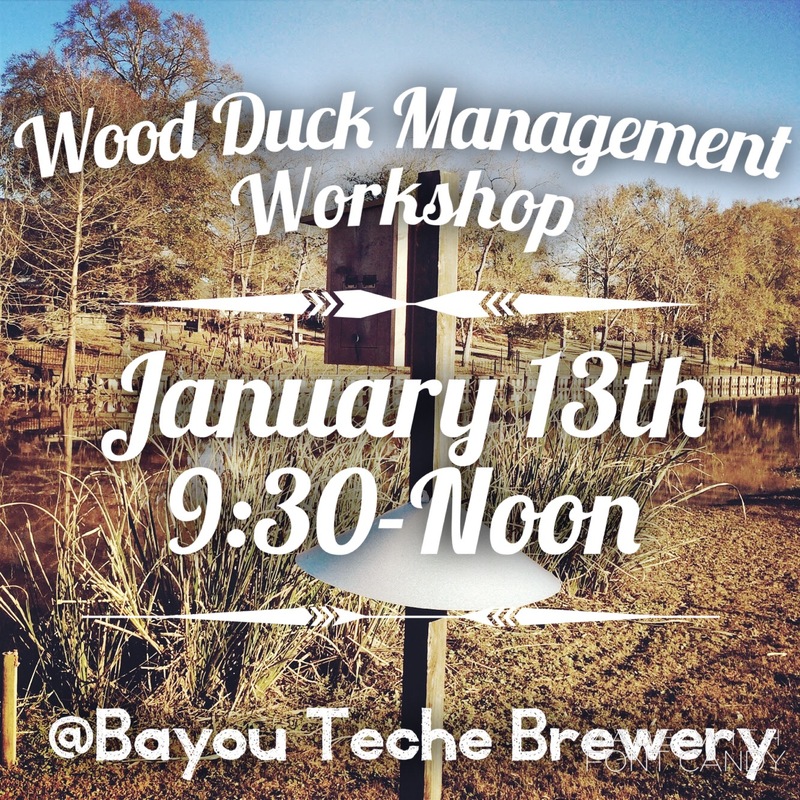 This year’s workshop will take place at the Bayou Teche Brewing Company in Arnaudville, from 9:30 am to 12:00 pm, on Saturday, January 13, 2018. 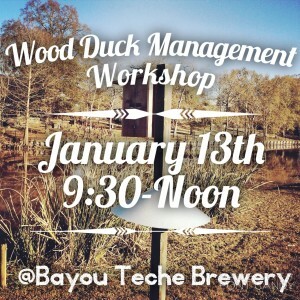 The workshop is held just in time to get your wood duck nest boxes installed for the spring nesting season and the location at the Bayou Teche Brewery is optimal as the brewery owners raise wood ducks along Bayou Teche themselves. The workshop ends at noon, but plan to stick around the brewery for Saturday afternoon music (Bobby Michot and the Coulee Jumpers), food, and tasty brew. It’s always a fun time! Next Tuesday, November 28, is recognized as #GivingTuesday—a special day for giving to charitable foundations and non-profit organizations such as The TECHE Project. All donations will be MATCHED dollar for dollar up to $5,000! Many of you have recently received a letter request from me urging your support. The contributions we’ve received in the last week alone suggest just how relevant the programs of our organization are to the people who feel the Bayou Teche is so special and important. The Bayou Teche is Louisiana’s most historic bayou. 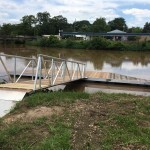 It is also the only nationally-designated Water Trail in Louisiana—one of only 22 such national treasurers designated by the U.S. Secretary of the Interior. But I suspect you know this already and appreciate how much the Bayou Teche means to the thousands of people who live nearby and in the 15 communities along the Teche. I know you get it because you’ve supported The TECHE Project—the volunteer-based, non-profit stewardship and management organization for the Trail. And, thank you very much for your support. Use and appreciation of the benefits of the Bayou Teche and the National Water Trail designation are growing. 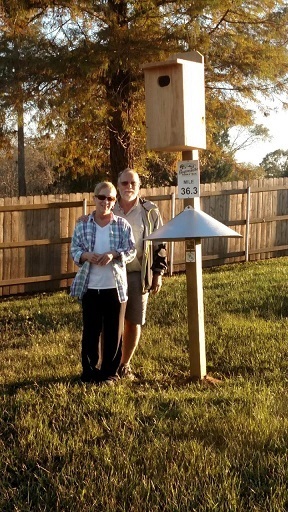 More and more communities and businesses are realizing the varied benefits of the Teche. More projects to improve accessibility and information delivery are in the works. The availability of public funding to develop recreation amenities and program services is dropping very fast and the future of state and federal support is all in doubt. The operating budget of The TECHE Project is under rapidly emerging challenges to meet the ongoing and new demands for services provided by The TECHE Project. As you can see, trend lines are moving in two diverse directions. 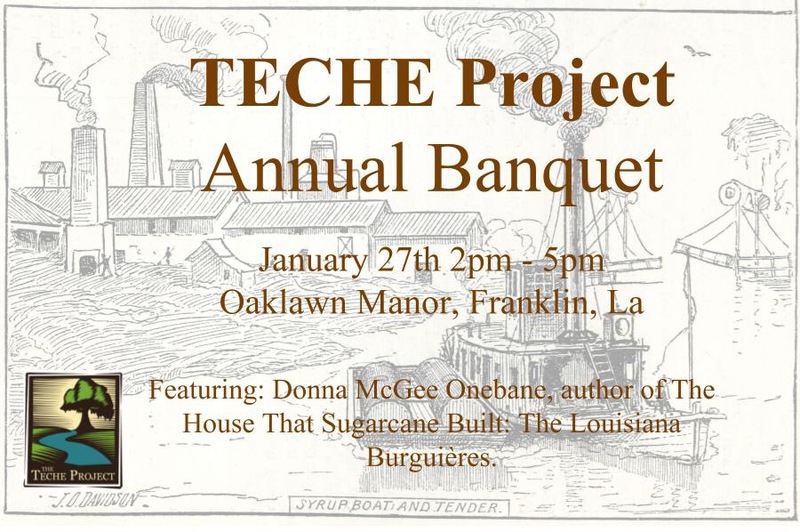 More than ever, The TECHE Project needs your financial support. 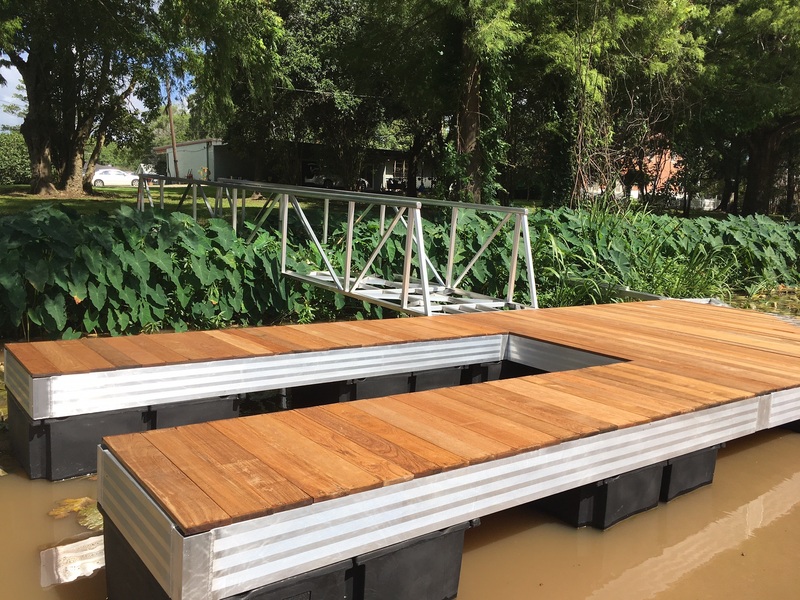 In the next two years, we plan to launch more floating docks; install informative “orientation kiosks”; publish a new paddle trail guide, and expand our educational programs. 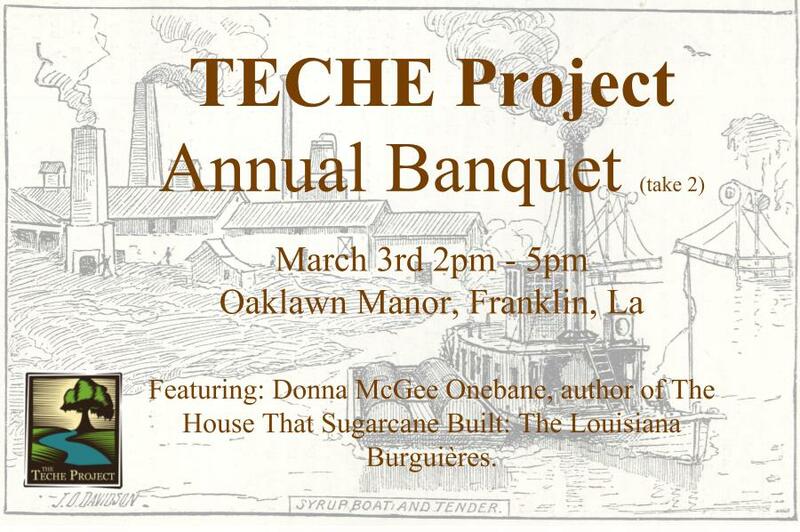 In other words, your support and our efforts to enrich the resources of the Teche, help people explore its wonders, and assist communities to embrace all that our wonderful bayou offers. Consider moving up a membership level, i.e. single to family if appropriate. Make sure your membership is renewed and up-to-date. During the holiday season give your friends, business associates or employees gift memberships. We now have five new one-time donation levels ranging from $101 all the way to $5,000+. Consider an end of the tax year donation which is tax deductible! 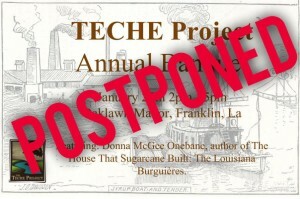 We have unique merchandise exclusive to The TECHE Project—more holiday gift giving opportunities. Take advantage of a special opportunity provided by AmazonSmile where Amazon donates 0.5% of your entire purchase to The TECHE Project. Think about this for your holiday gift shopping! Incorporate The TECHE Project in your long-range estate planning. 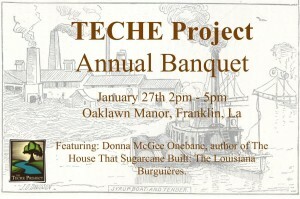 For the members of The TECHE Project Council and our affiliates, I urge you to take advantage of these opportunities. Your support is needed as much as ever. And Giving Tuesday is the perfect day for you to go to our website and go above and beyond your current level of support for The Teche Project. Above all, we wish you the very best for the rest of 2017 and the new year. Pedal and Paddle to the Party – At this festival, your trip to the event can be as much fun as the event itself. We are offering Bike Rides (25 and 40 mile excursions). 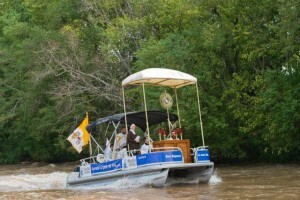 You can also combine your ride with a paddle in our 4.5 mile boat parade from Poche Bridge to the Festival grounds. If you don’t have a touring bike and would like to rent one, contact the TRAIL Office at latrail.org. For more information and registration for the bike ride and combined paddle/ride, go to Eventbrite and look for “Shake Your Trail Feather”. 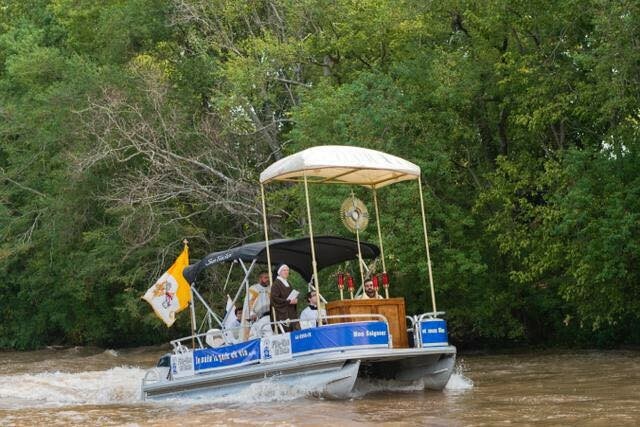 Shuttle Service for the Paddle Boat Parade – This year we are offering a morning shuttle so you don’t have to hassle with transferring vehicles. Here’s how it works. You drop off your paddle boat behind the Poche Bridge Country Club between 8:00 and 9:00 where it will be guarded. Then go park your vehicle at the festival at Parc des Ponts du Pont Breaux and hop on the shuttle bus to go back to Poche Bridge before the parade. So, when you arrive at the festival in your boat, your vehicle will be nearby for easy loading. The shuttle bus will depart from the Boat Launch area at the park. Departure times are 8:30, 9:00, and 9:30. The cost for this service is a mere $5.00. Paddle To The Party – The Paddle Boat Parade is accompanied by our floating Cajun Barge Band for a good-time float down the bayou!! The parade leaves Poche Bridge around 10:00 am and should arrive to the festival grounds around 12 noon just in time for the main stage to crank up. Plan to be at Poche Bridge around 9:30 for put in and a safety briefing. 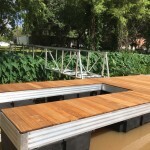 If you choose not to do the shuttle service, please plan to be dropped off with your paddle boat at the Poche Bridge Country Club parking lot by 9:30. Parking at Poche Bridge will be limited, so we advise that you plan to have someone drop you off. All boat riders must have a life vest, and will need to sign a safety waiver before entering the water. There is no charge for the boat parade, but if you support our cause and love this event, feel free to feed the Tip Jar! Sabra and the Get Rights play from 12 noon to 1:30 at the Main Stage. Bonsoir, Catin plays from 2:00 to 3:30 at the Main Stage. Cedryl Ballou & the Zydeco Trendsetters play from 4:00 to 6:00 at the Main Stage. Bayou Bird Costume Contest at the Main Stage at 3:30 pm. Dress like a bird and shake your trail feathers!! Raffle Drawing for the Festival Artwork (water color of wood ducks by Terry Palmer) at 5;00 pm. Raffle Drawing for an awesome Wilderness Systems Tarpon 1200 Kayak donated by Pack and Paddle at 5:00 pm. 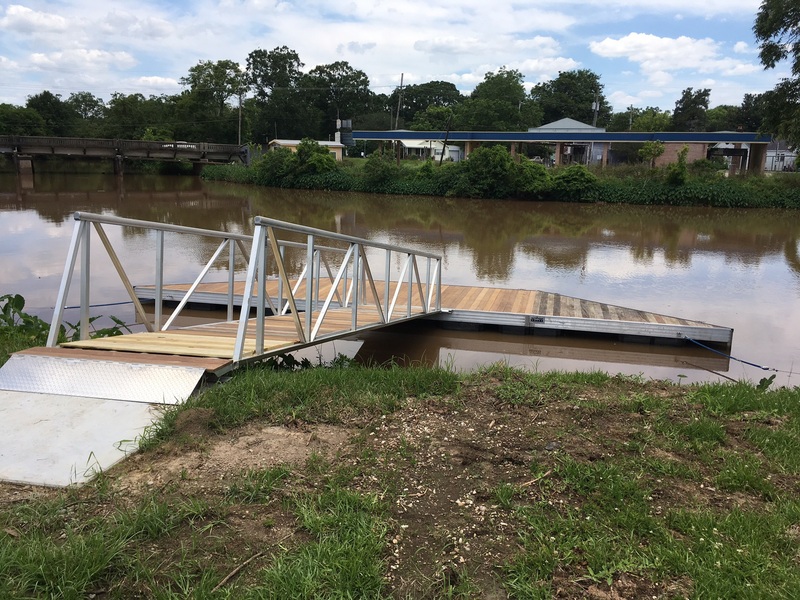 Heritage Tent Discussion on water flow management in the Teche/Vermilion watershed and how that management aids the boating and agricultural industries at 1:45 pm. Heritage Tent Panel Discussion on recreational opportunities on both the Teche and Vermilion at 3:45 pm. Also, lots of kids activities, artisans and informational displays! !